Football is bringing awareness to the existence and plight of Khoi and San communities in South Africa. 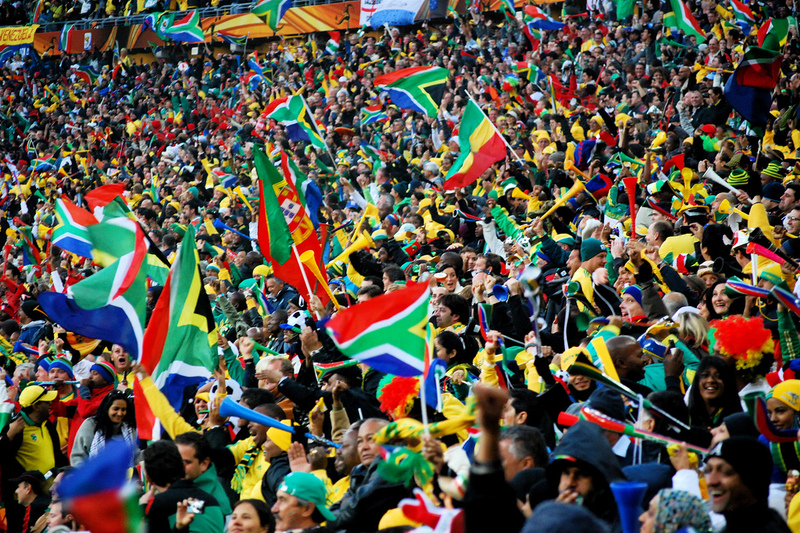 At the beginning of the month, SABC spokesperson Kaizer Kganyago announced that the SABC will for the first time allow for Khoi and San communities to have the world cup matches broadcast in the! Xun and Khwe dialect on X-K FM.The 2018 FIFA World Cup kicked off in Russia on 14 June and will end on 15 July. The Daily Vox spoke to the producer of the station and members of Khoi and San communities to get a feel for what it means for their languages to be recognised. â€œThe management of the station decided to introduce this because we watch TV and we love sport but when it comes to language we donâ€™t understand what other people are speaking. Some of our youth can understand English and sometimes Afrikaans but our elders who love sport donâ€™t understand the language,â€ programmes producer for X-K FM Piorro Mushavanga said in an interview with The Daily Vox. X-K FM is a community radio station based in the Northern Cape. Itâ€™s listenership is primarily based in Platfontein, a dusty and arid little region just 15 km outside of Kimberley. Itâ€™s community consists of two San tribes, the !Xun and the Khwe. â€œWe saw with our programmes that when we use our own languages then they understand it and it seems like they are responding to what they heard on the radio,â€ said Mushavanga. X-K FM thought of introducing sports commentary on its show to draw in sports fans and attract a larger listenership. The first match it provided sports commentary for was the Soweto derby between Kaizer Chiefs and Orlando Pirates earlier this year. â€œIts huge now,â€ Mushavanga said. The station has four sports presenters: three men and one woman. The station has approximately 6 000 – 8 000 community listeners, he said. Towards the end of last year, the station had around 16 000 listeners. Mushavaga said he will only know at the end of the month how many more people listened to the station because of itâ€™s world cup commentary, but he is expecting more listeners. Oscar Kambinda (32) is a Platfontein resident who is keenly keeping up with the World Cup through XK-FMâ€™s broadcasts. Kambinda is favouring defending champions Germany and had thus far been disappointed with his teamâ€™s performance. Kambinda said he is proud that XK-FM is providing commentary in his mother tongue. â€œMost of our people are over the moon. We listen to the commentary, itâ€™s very good because itâ€™s our language so we understand it,â€ he said. â€œAt least South Africa is trying to represent our languages,â€ Kambinda said. Dapaisa said itâ€™s particularly important for the older people. â€œFor old people itâ€™s very nice, when they see TV or listen to the radio in their own language. How many years was the world cup and old people could see what was happening but couldnâ€™t understand? Now they can understand the names, whatâ€™s going on, which team wins,â€ he said. â€œPreviously the government just left us, for many years,â€ said Dapaisa. He hopes the president will create an awareness about the Khoi and San people. â€œMaybe the president can do something for people to know about us, people just know some history but they donâ€™t know our language. People can know, there are San people,â€ he said. Wilders Kaunda (43) said other communities in South Africa get everything, but it seems that the government has forgotten about the Khoisan. â€œThe Khoisan was the first people in South Africa. The language is very important, just like other South African languages. We are people too. Any people have the right to understand,â€ said Kaunda.